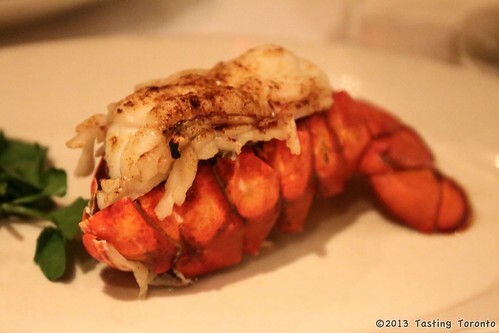 Located at the Park Hyatt Hotel in Yorkville, Morton's is a little taste of the windy city in Toronto. 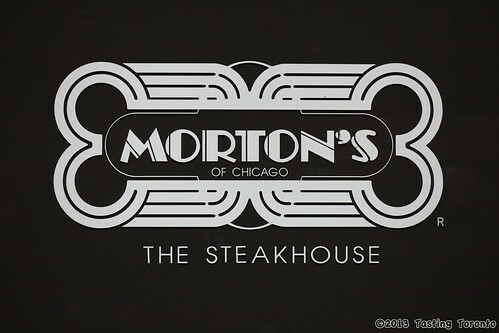 Chicago is well known as a steak loving city, and it's great that Toronto has one of the few international outposts of the renowned Morton's of Chicago steakhouse chain. 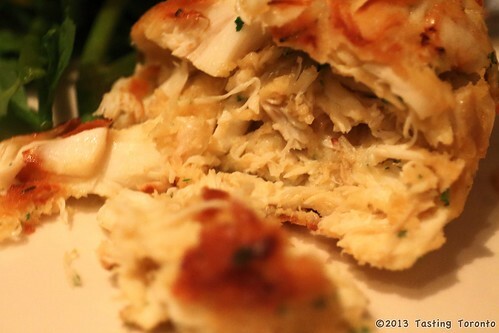 The jumbo lump crab cake is some of the best crab cake around, with large chunks of tasty crab meat and not much filler. 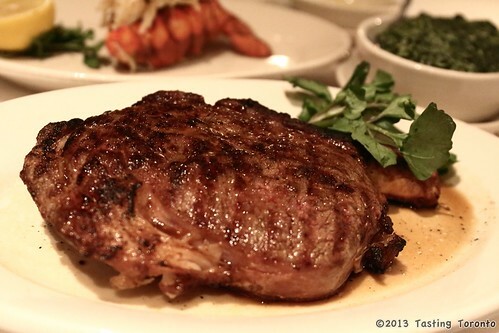 Morton's uses USDA Prime beef, aged from 23 - 28 days, for some juicy, flavour filled and perfectly cooked steaks. 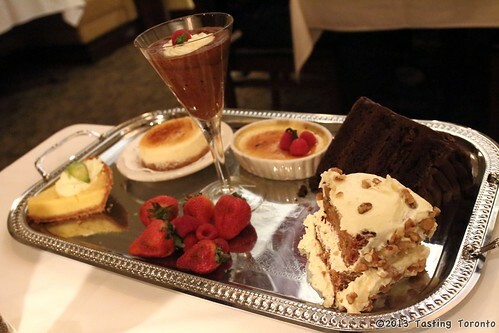 Morton's has an excellent selection of desserts. Some of their signature desserts like their decadent Hot Chocolate Cake and their Upside-Down Apple Pie require some time to prepare so it's best to order those with your mains. 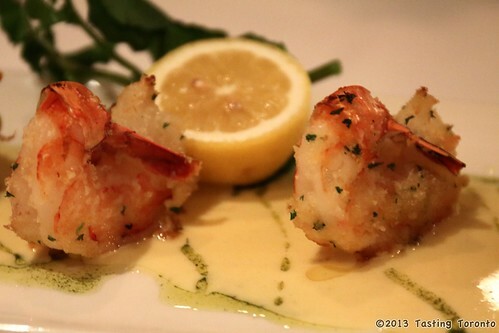 If you're in the mood for a classic, white linen, fine dining experience with succulent steaks, fresh seafood, and good wine, then Morton's should definitely be on your list.